You thought being an astronaut in America was tough? Forget advanced degrees and 1,000+ hours of flight time—in China, if you're a woman with dreams of space, you need a perfect face and no BO. China Military News reports two female "taikonauts" have made the next cut for the country's Shenzhou-9 mission space mission, declared sufficiently "flawless" for the vacuum. So why's physically verboten for would-be space women of China? The women could not have decayed teeth "as it might cause great trouble or a disaster in space." Pang said a scar might open and start bleeding in space and the cramped conditions would intensify body odour. 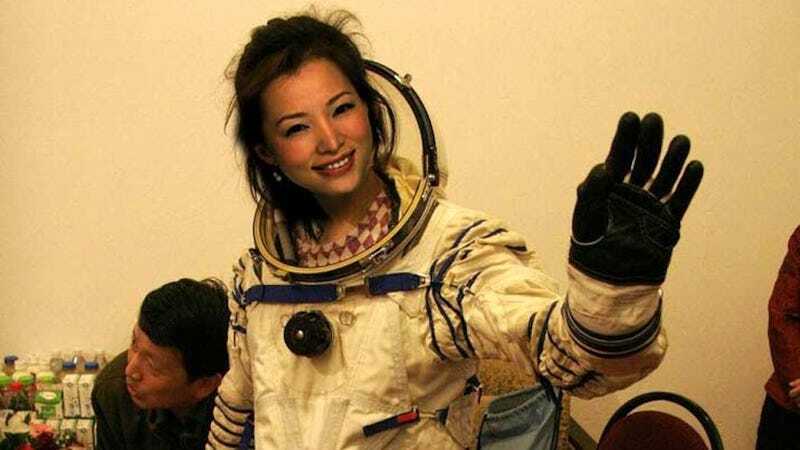 Note: Is it just us or does that photo of an alleged Beautiful Chinese Astronaut look photoshopped? Her face looks like it was drawn on!